If home repairs are your business then you've probably had some experience with many of the available commercial power tools. But if you're anything like me, you've probably spent a lot of time searching and comparing tons of tools, as well as trying to find the best deals available. So, I thought I'd help you save some time, and money, by listing my reviews and recommendations for the best commercial tools for the money. If you have a question about anything not covered below just Ask your question here! 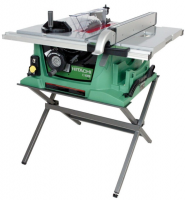 Looking for a professional grade portable table saw, look no further. 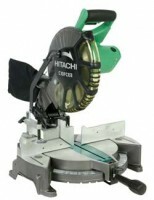 This all in one Hitachi 10 inch table saw has all the features you'll need to produce professional results easily. The telescoping extension table expands out to 24-1/2 inches, the metal rip fence is self-aligning, and the 2-1/2" dust collection port make this the complete job saw. The folding legs makes for easy transport and storage. And the 5 year warranty definitely has you covered. Even after two years of heavy use, no worries with this workhorse. Everything is as good as new. The following items are included; a 10 inch 36-tooth carbide blade, miter gauge, rip fence, dado insert, blade wrench, push stick, and folding stand. This is the by far the most complete miter saw I've ever used. No matter what the project, this 12 inch compound miter saw does it all. Beginning with the Hitachi laser marker system, that you can turn on before the blade starts, and it's easily adjustable to the left or right of your cut mark. Next, the thumb-actuated miter stops allow for simple miter adjustments, and after you set your bevel angle a micro-bevel adjustment knob provides precise angle adjustment for superb accuracy. The pivoting aluminum fence is 5-1/8 inches high make cutting crown molding a snap. The powerful 15-amp motor provides plenty of power for any job, and the elastomer grip handle keeps all that power under your precise control. So, if you want power, flexibility, state of the art precision, and durability, this is the only saw for you. Definitely the professional's choice. This is by far the undisputed, best jigsaw you can buy. With it's 3-way blade guidance, the blade stays exactly at the angle you set. This means you can achieve precise bevel and miter cuts. The non-scarring base plate takes the worries out of accidental damage to your projects, and the "fast fix" blade change couldn't be easier. The variable speed control, low center of gravity, and ergonomic switch placement allows for easy operation, and precise results. The powerful 6 amp motor provides enough power to cut through 4-3/4" wooden beams, 3/4" aluminum, or 3/8" steel. When it came to buying a jigsaw for our high end cabinet shop, Festool's made it easy. There's no compromising here, just quality and durability. 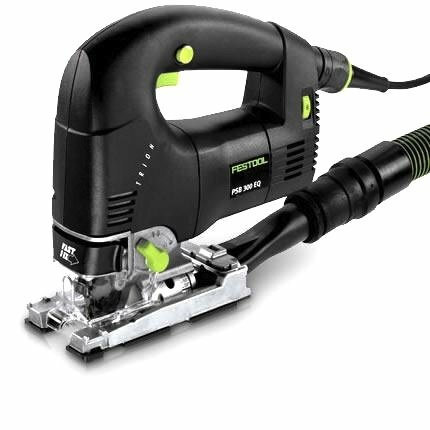 Thanks Festool. By the way, this jigsaw is also available in a top handle model at the same price. More years ago than I can remember, I started in the construction business. First as a laborer and then moving into framing. That's when I bought my first commercial circular saw. It was a Skil 7-1/4 inch worm drive saw. Before that I was using a standard, blade on the right, circular saw. The first time I used my new Skilsaw I was totally amazed at the power, the balance, and mostly the control I had over the saw. This was one amazing saw. First off I've got to say that this saw was designed and built for framers and contractors and isn't for everybody. At 16 lbs it's quite heavy, and takes a while to learn how to handle it. But boy, once you get used to this saw, it's the finest you'll ever own! Great care was taken in the design of this fantastic saw, such as the precision-machined worm gears that eliminate the kickbacks found in the lighter saws. The high strength aluminum foot glides smoothly over your work, and the large, quick-release, positive locking bevel and depth levers make this great saw extremely easy to use. The 15 amp motor has all the power you'll need, and there's easy access to clean or change the brushes. 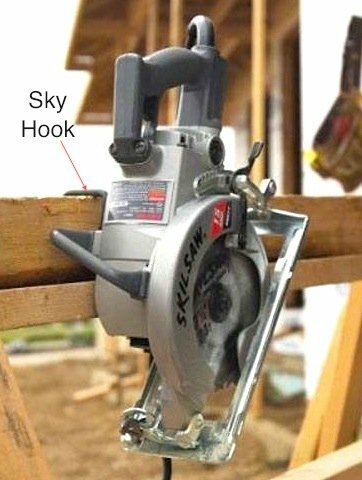 It also comes with a two position saw hook, or sometimes called a sky hook,, for safe hanging on rafters or joist. The push button blade lock allows for fast and easy blade changes, and the anti snag lower guard provides smooth operation. I've had my Skilsaw for well over twenty years now, and have never needed to replace anything. And no one has built a better saw yet.